Ted Cruz is simply brilliant. His Tortilla Coast meetings are driving the RINOs insane — they are practically wetting themselves over it. When I saw the writeup at The Hill, it definitely gave me a happy. Irony is a lost art form wasted on these bastards. They have labeled Cruz an ‘agitator,’ because he’s against John Boehner. Who isn’t these days? That’s not a Progressive that is. Au contraire (for our French Republican RINOs), he’s a true leader with a spine a mile long. I know, I know… that is foreign to you asshats, but get used to it. 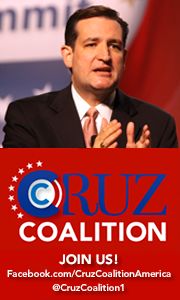 The Tea Party is here to stay and Ted Cruz is leading the way. Just because you seem to not be sporting a pair and prefer to play le femme chic, doesn’t mean there aren’t real conservative warriors out there that are more than willing to knock you down and replace you with real leadership. You would think that Cruz was the enemy the way The Hill breathlessly reported that he had a secret meeting with 10 or 12 Republican leaders, in… get this… his office! They met at 8 p.m. on Tuesday for a 90-minute session that included candy bars, crackers and soda. For shame! Cruz’s office would not give further details, calling the pow-wow a “private meeting.” Heh. Someone’s pissed because they didn’t get invited, huh? And the official meltdown began. How dare he have a secret meeting! He can’t do that! Oh, get over it already. I think it is sheer brilliance that he would not disclose who was at the meeting — it is driving the pols nuts. And keeping battle plans close to his chest is simply survival and smart. They had a chat about a wide range of topics and I’ll bet none of them were Progressive or RINO-friendly. Cruz has been targeting Republican leaders for not fighting hard enough for conservative values and Constitutional principles. He participated Tuesday evening in a Townhall with ForAmerica, a conservative group run by Brent Bozell. This fantastic group has been pressing for Republicans to get rid of their leadership teams in both chambers using the hashtag #dumptheleadership. Time to clean House and Senate. One topic that did come up during Cruz’s meeting was Boehner making fun of other Republicans because they were against Amnesty. In other words, any conservative who wasn’t for political suicide was derided. I am reminded of the boardroom scene at the end of The Secret of My Success, where the senior execs tell the corporate raider, Donald Davenport, that they are worried they’ll be replaced: “What we’re concerned about, frankly, is the upper management positions;” to which Davenport responds, “Most of ’em will have to go. But a handful of ’em… who have been so helpful… like yourselves, of course… will be stayin’ as long as you like.” Boehner is bought and paid for. He is utterly corrupt and switch hits for the other side. There were 12 Republicans who didn’t vote for Boehner and each of them holds a place in my heart to this day: Louie Gohmert of Texas, Tim Huelskamp of Kansas, Justin Amash of Michigan, Jim Bridenstine of Oklahoma, Paul Broun of Georgia, Walter B. Jones of North Carolina, Raúl R. Labrador of Idaho, Thomas Massie of Kentucky, Mick Mulvaney of South Carolina, Steve Pearce of New Mexico, Steve Stockman of Texas and Ted Yoho of Florida. I suspect some of these brave men were at that meeting. Just sayin’ and they are just fine with Boehner’s name calling. Rumor has it that Boehner will retire soon — not soon enough. He can take Eric Cantor, Cathy McMorris Rodgers and Mitch McConnell with him. Good riddance. Please don’t forget John McCain and Lindsey Graham while you are at it. All of you are about to take a one way trip to the woodshed. You sold your honor and your souls long ago to the Progressive Marxists, now true conservative leadership is going to kick your sorry asses out the door. You are fortunate the Founding Fathers aren’t around anymore — you’d be tarred and feathered and ridden out of town on a rail. 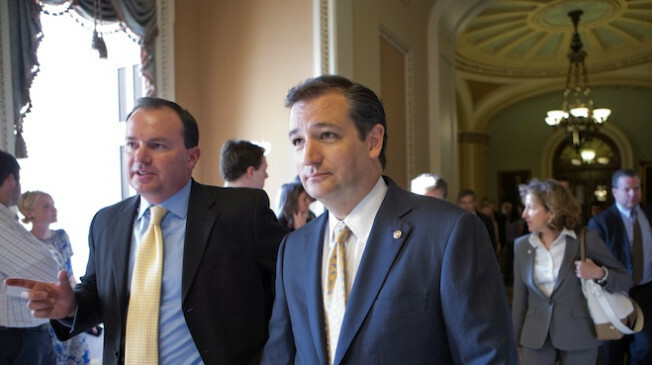 Several House Republicans were invited to Cruz’s meeting, but couldn’t attend. They included Louie Gohmert of Texas, Cynthia M. Lummis of Wyoming, Trent Franks of Arizona and Marlin Stutzman of Indiana. Tim Huelskamp of Kansas, a vocal Boehner critic who was present for that Tortilla Coast meeting last fall, tweeted a cryptic note Tuesday. He wrote he had “another great meeting @TortillaCoast,” affixing the hashtag “#revolution” to the tweet. Turns out he was there for a rather innocuous fundraiser for Ken Buck, who is running for Colorado GOP Rep. Cory Gardner’s seat while Gardner runs for Senate. But Huelskamp would not say if he attended the Cruz confab. Cruz helped rally the right against moving an immigration bill this year after Boehner released the GOP leadership’s immigration principles in January, playing the “amnesty” card and saying doing so would help keep Senate Majority Leader Harry Reid, D-Nev., in the Senate. That prompted several of Boehner’s allies to suggest Cruz mind his own business in the Senate, blaming him for the shutdown. Cruz told ForAmerica that the showdown over Obamacare resulted in poor ratings in the polls for President Barack Obama and the health care law. Those entrenched politicians “aren’t listening and they’re not going to,” Cruz said. “We need to make it politically more risky to do the wrong thing,” he said. Cruz is the leader we need in this fight. Groups such as the Cruz Coalition and RunTedRun are gathering steam to lay out a winning team that will return our nation to the place we grew up in and have loved our whole lives. With Cruz at the helm, America will be strong militarily, fiscally sane and Constitutionally whole. Not since Ronald Reagan have we seen a leader such as Cruz who truly loves America and has her best interests at heart.